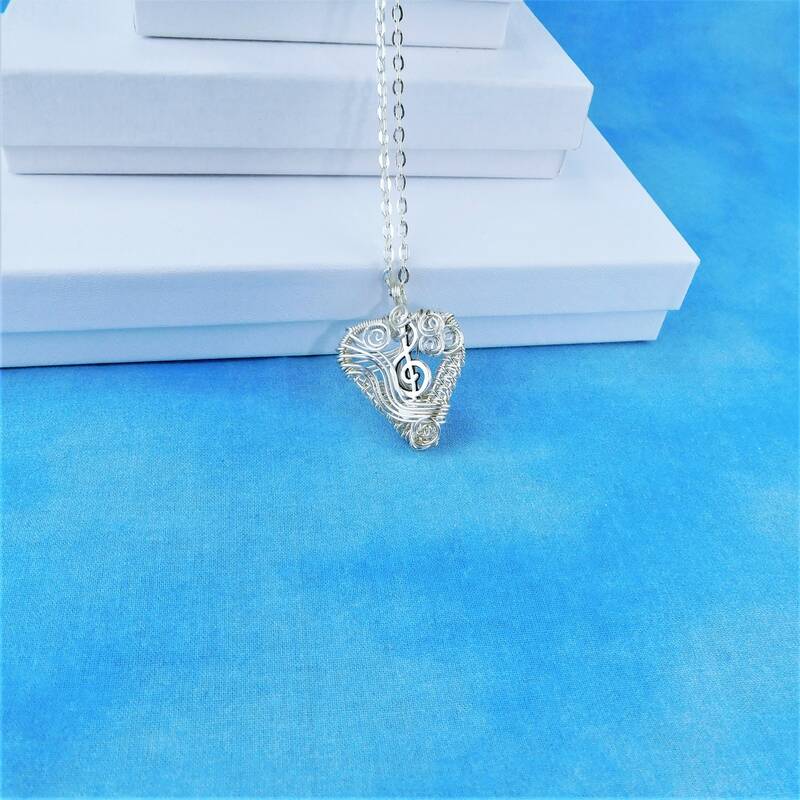 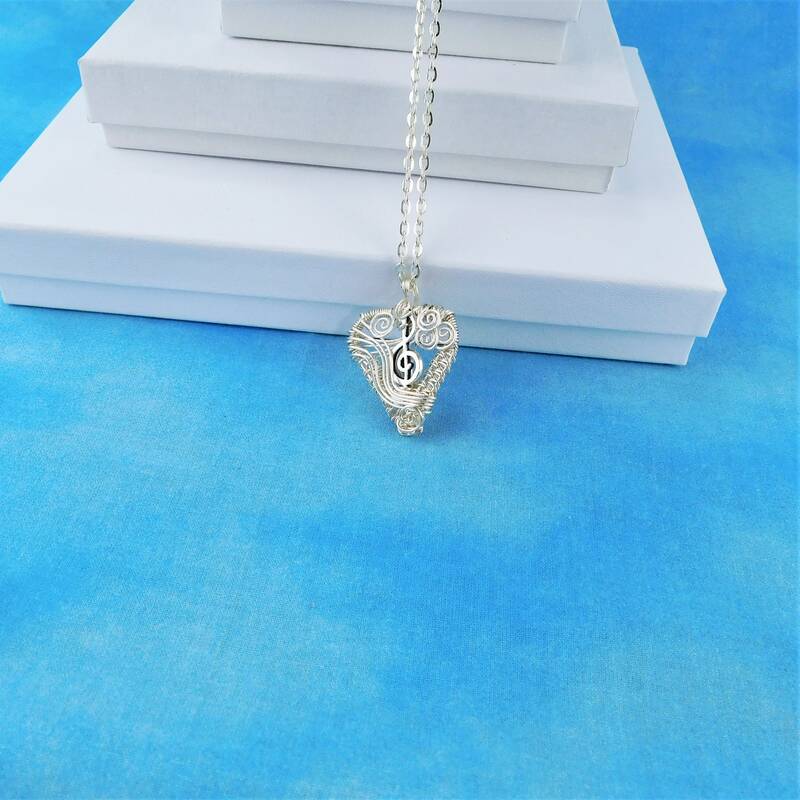 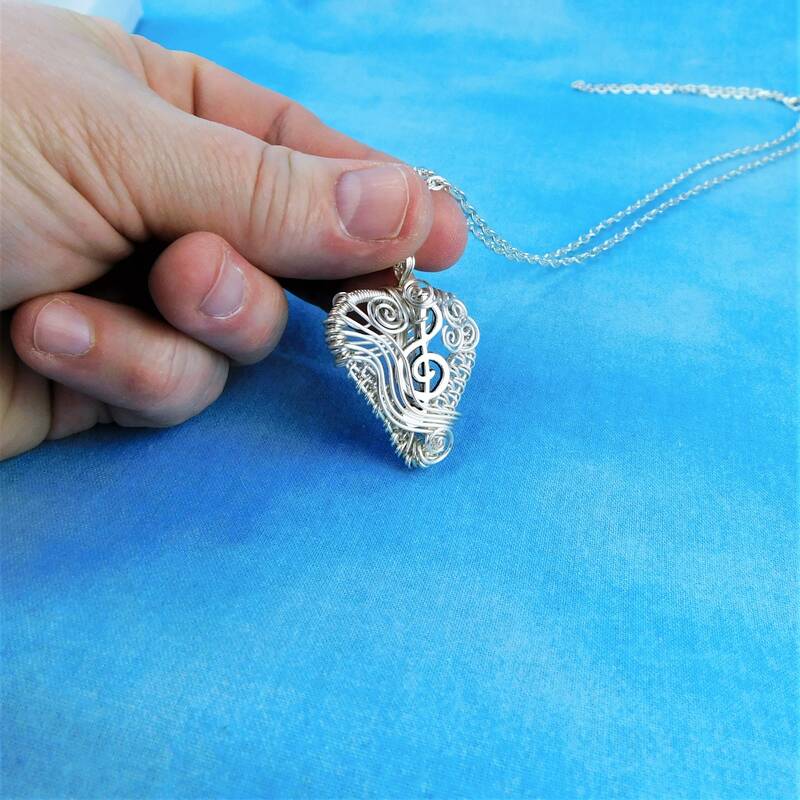 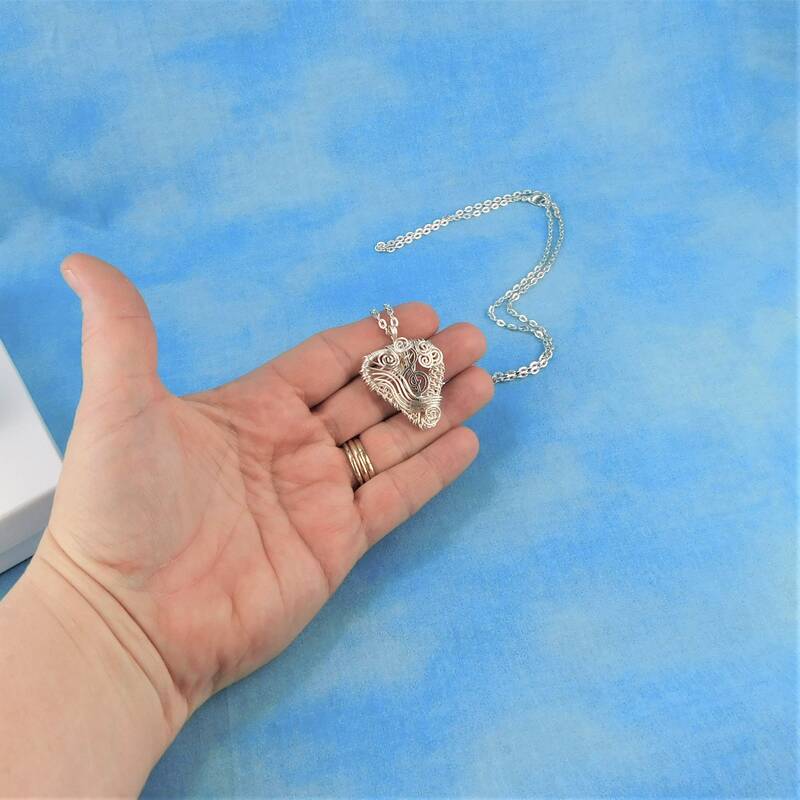 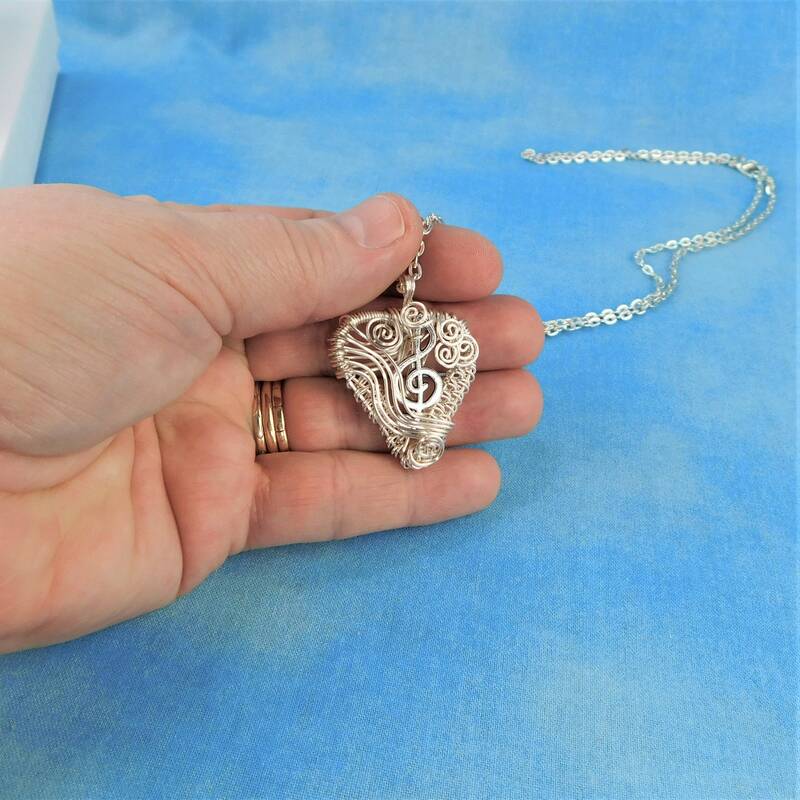 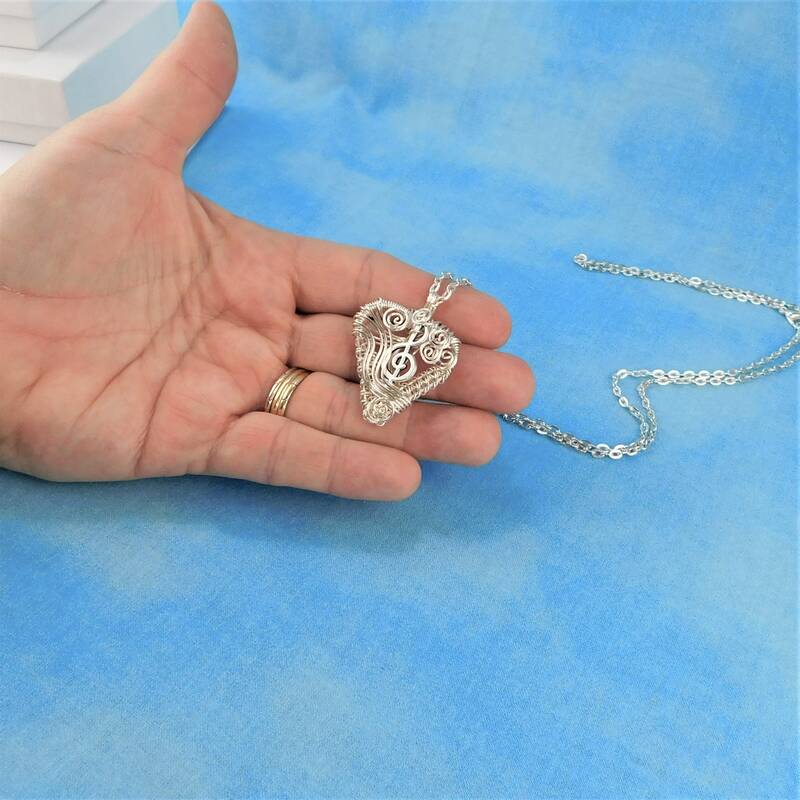 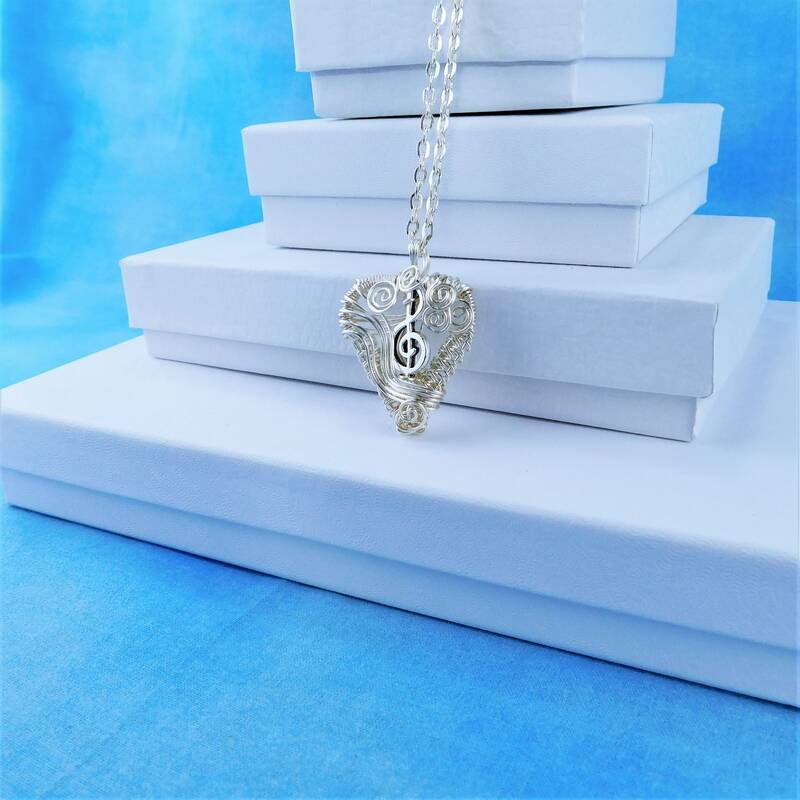 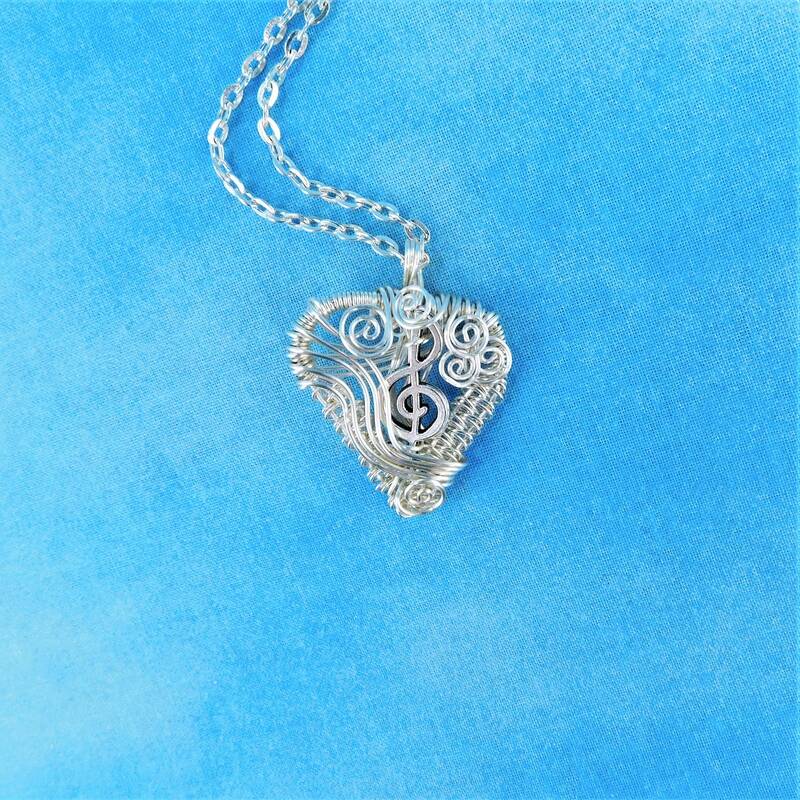 Four strands of non tarnish fine silver over copper wire are off-loom hand woven and sculpted into a heart shape, and embellished with a silver metal treble clef, creating a 1 1/4 inch by 1 1/4 inch pendant style necklace. 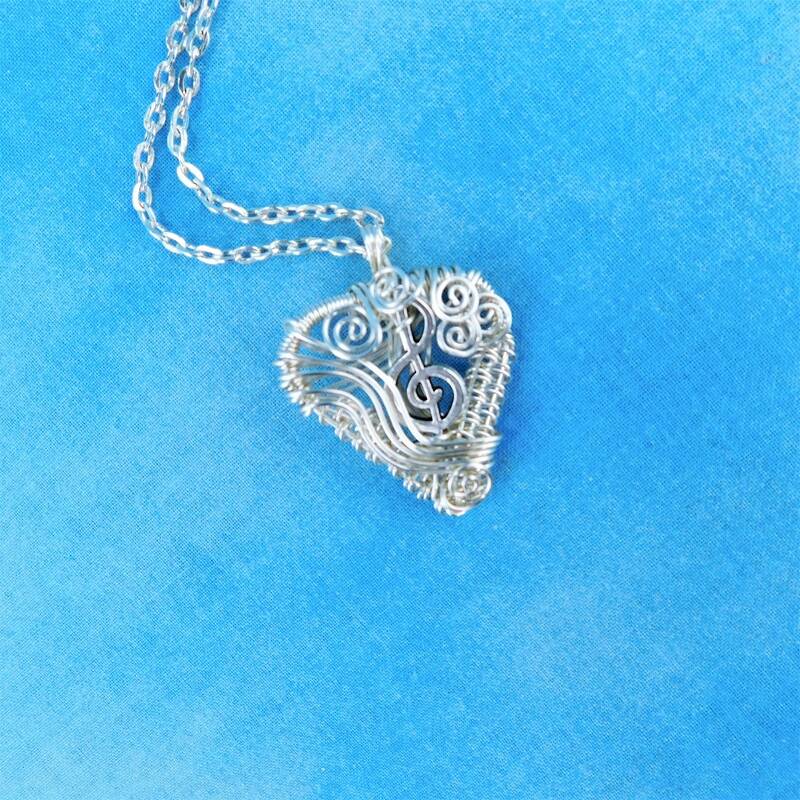 The lacy look of this heart can go from casual to dressy and will be a favorite that gets attention everywhere you go. 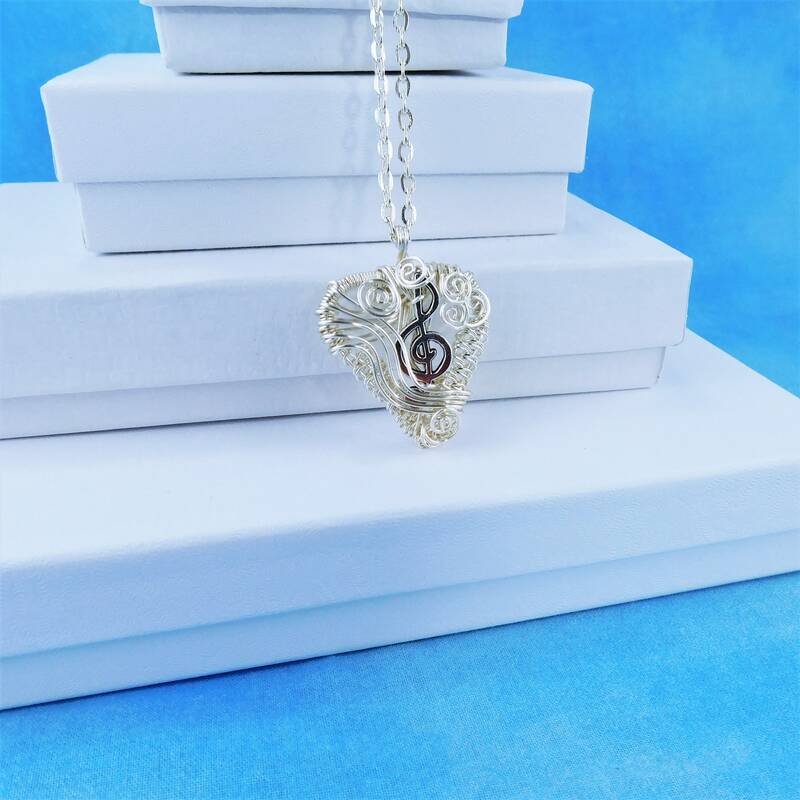 Perfect for the musician, music teacher or music lover, it will strike a chord with that musical woman in your life.